Landing Page needed to aid the pitching of the Architect platform on the Demo Night, March 28th. Being presented in front of Y Combinator. This design was iterated through to be so well crafted as it directly represent who and what Architect is. The quick pitch for this platform being developed is to reshape how communities function. Architect allows community members to build valued trackers on top of one another which is why everything in this design is like blocks being built on top one another. 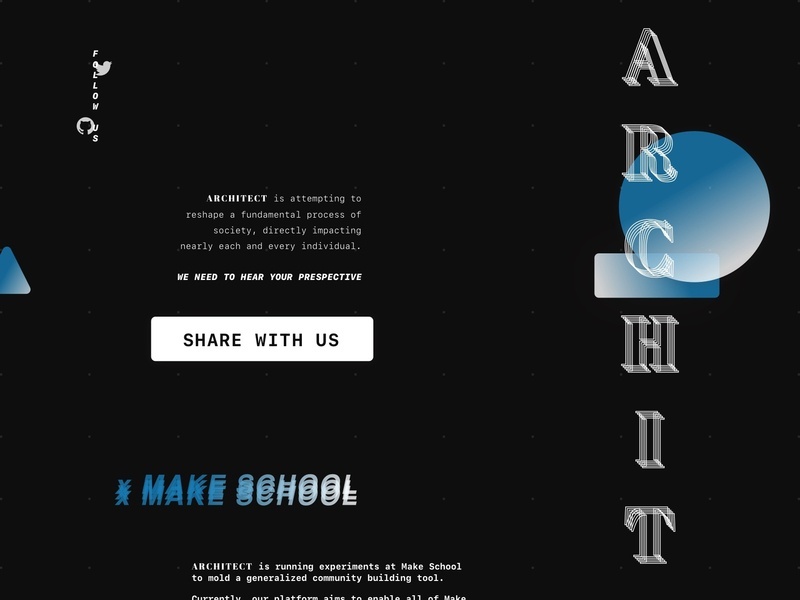 More on Architect coming soon to better a community near you.